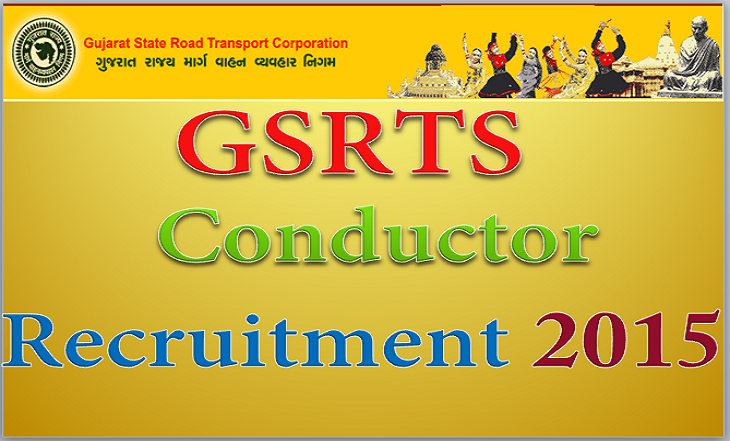 Gujarat State Road Transport Corporation (GSTRC) has released the recruitment notification to fill up the 1167 conductor posts. All the interested and eligible Candidates can start applying for the GSRTC conductor recruitment 2015 from May 1st 2015. Candidates are required to apply online on or before the last date on 31st May 2015. Application form for the above post will be available on the Official Website from May 1st 2015. Check complete details like Eligibility criteria, Age limit, Educational Qualification, Examination fee, Important Dates, Selection process of GSTRC Recruitment 2015 from below. Candidates should pass in Class 10th standard conducted by any board of school education in Indi. Candidate should have conductor license with first aid certificate. Candidates should have a minimum age limit between 18 years and maximum 30 years. Age relaxation will be applicable per government rules and regulation. Candidates belonging to Reserved Category (Scheduled Castes / Scheduled Tribes / Physically Impaired) are exempted from payment of Examination Fee. How to Apply for GSRTC Conductor Recruitment 2015? Log on to the Official Website of GSRTC Or Open the link given below. 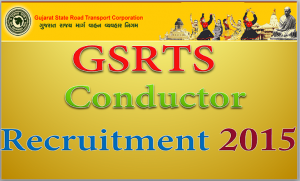 Search for GSRTC conductor recruitment 2015. Fill the online Application form with correct details. Pay the fee through the online mode.